Following completion of an Access Billing registration form, we send the Dr private health fund application forms. These forms are filled out on behalf of the Dr and all that is needed is a signature. Once the Dr returns these forms to us, it takes the private health funds approximately 2 weeks to complete the registration process. 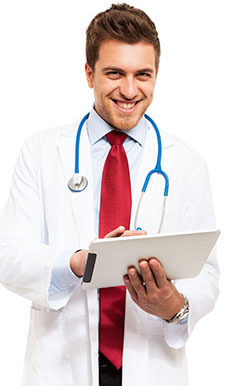 Access Billing is then ready to begin invoicing on behalf of the Dr. We use practice management software for all your accounts, bank statements and financial reports. We then need the billing information sent to us, preferably a hospital bradma. This can be posted, faxed or sent via email. It is best if this is done regularly to avoid long delays in processing. When we receive the information all invoices are processed within 7 days, sometimes faster. On receiving patient payments, receipts are issued. Outstanding accounts are checked regularly and reminders sent for prompt payments. Some of the private health funds pay their invoices overnight whilst others have a 2 week payment cycle. HIC & DVA online, process & pay overnight. Our office is open during business hours for patient enquiries. In addition, as a client you are able to contact Julie after hours, if urgent or necessary. For further details contact one of our friendly consultants. A Gastroenterologist consults at three different locations and performs procedures at four different locations, including private patients in a public hospital. All his billing is performed by Access Billing and processed within 7 days of receiving. Consequently his staff can focus on other tasks such as reception, typing, filing, and organizing procedural lists. A Cardiologist has recently started private practice and is building a client base and doing locums for established physicians. A new specialist cannot always afford the cost of full-time staff to perform billing. An Anaesthetist doing nine lists per week at four different private hospitals has all patient accounts invoiced by Access Billing. These are processed within 7 days of receiving the required information. 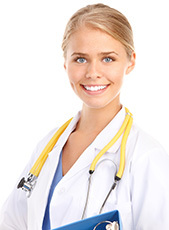 Access Billing understands the complexities of anaesthetic invoicing. A General Surgeon whose busy practice encompasses four locations sends his running sheet for the day by fax to our office. Access Billing invoices the patients for their consultations in the consulting rooms. When the patient is admitted to hospital for a procedure the account is then transmitted to the private health fund for payment.